6:50pmET: Josh Gordon conditionally reinstated. Can come back in Week 13. You're crazy to stash him in a 12-team/redraft league. What's going to happen? First, Gordon has to make it to 11/20/17 without an issue...not a given. Second, he comes back from years off, and wasn't good when he last played, and pairs up with the worst QB in the NFL...and makes magic right away? 4:25pmET: Kyle Shanahan won't promise that Garoppolo will play this season. I could believe that because if Garoppolo steps onto the field and lights it up...how much more money will that cost SF in JG's free agency? I suspect they will get to know Jimmy G. for two weeks, and then wrap up a long-term deal and go from there. 1:02pm: Another reason you know this is it for Brady-Belichick, they'll be leaving us soon -- Brian Hoyer was signed to a 3-year deal. No pressure for Brady. Someone they're all comfortable with. Three years means no other QB needed to sign or draft. it's Brady or bust, and when they're done...they're leaving together. 12:55pmET: Brock Osweiler was announced as starter for Denver this week. In 2015, as a fill-in starter, Osweiler threw 10 TD passes...5 to Demaryius Thomas, 2 to Emmanuel Sanders and 2 to Andre Caldwell. There may be hope for DT after all? -- The Kelvin Benjamin trade was explained by the Carolina GM as a way to open up the run game. If that's true, then Curtis Samuel may start to matter a little more as a WR who more opens up the field. It also means more Christian McCaffrey, I guess?? I think this is more Carolina passing along a Martavis Bryant-esque ticking time bomb. Addition by subtraction. -- The NFC North is about to change when Lions LT Taylor Decker returns to action this week or next. The Lions schedule, the lack of Aaron Rodgers, the reality of Case Keenum...it is all setting up for the Lions to make a run to win this division. The Lions could change on one thing -- if Dwayne Washington comes through and takes over as the lead RB, but doing so effectively...not this slamming off-tackle for 2-yards every play. Open it up for him and let him go on the ground and in the air. You know I'll be unbearable to live with if Dwayne Washington becomes a thing ahead, right? t is instructed to be on my tombstone -- "When I started doing this football thing, I thought the team management was pretty bad but I really didn't know for sure. However, the closer I got to seeing how the sausage was made with the NFL...I realized it was 10x worse run then I ever imagined. Every person on every barstool in America complaining about their team's decision-making...they're right 90%+ of the time." It's going to be a bigger tombstone than I planned. 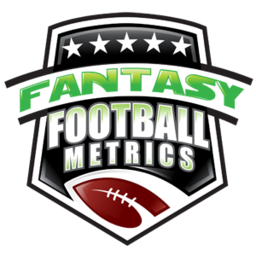 -- Week 9 Projections update planned around 7-8pm ET.